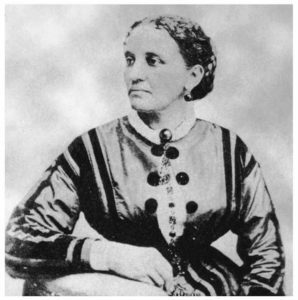 Born a slave in Virginia, Elizabeth Keckley went on to be a talented dressmaker and designer, with some twenty employees of her own. Catering to the wives, daughters, and sisters of Washington’s political elite, she included among her clientele Mary Todd Lincoln, who became her close friend and confidante. Please join the Victorian Society at Falls Church for a very special presentation by Lillian Garland who portrays Mrs. Keckley. Her presentation will be followed by a question and answer period and period-appropriate light refreshments will be served in the dining room afterwards. Cost of this event is $10/person payable in advance. Please RSVP to Leann Martin at leannpmartin@yahoo.com by May 1.